Central to any underfloor heating kit is the underfloor heating Manifold. An underfloor heating manifold is a compact multi-port arrangement, which usually includes a series of thermostatically controlled Actuators, temperature gauges, a mixing valve and circulation pump. Balancing between circuits is achieved using the flow meters. 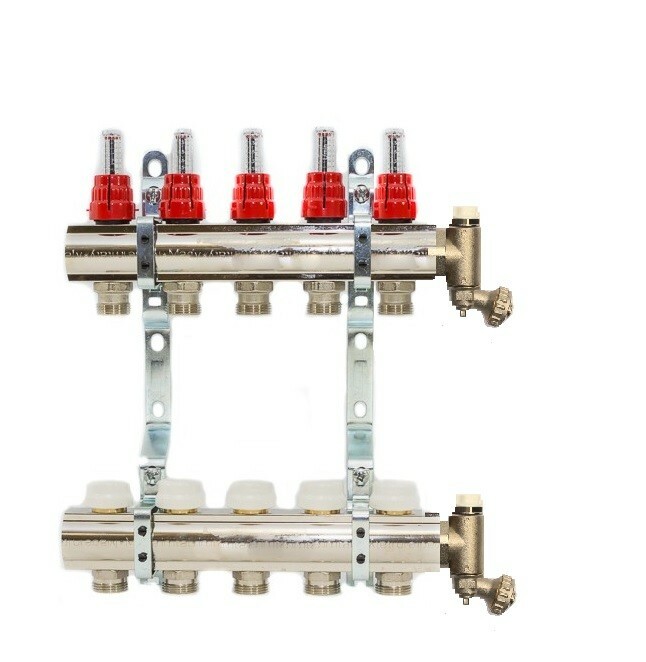 Our underfloor heating Manifold is available with 2-12 ports and comes with manual air vent.